In Israel, there are Churches on the sites of all the important events in Jesus life. We've been to most of them. Their locations date back to the third century when Christianity was legalized and churches could be built without getting knocked down by the authorities. Jesus crucifixion, death and burial was marked by the Church of the Holy Sepulchre in Jerusalem (photos here). In 326, when Queen Helena came to the city with the historian Eusebius to find the place of Christ's death and resurrection and to mark it with a basilica, Christians of Jerusalem brought them to the site that is now the Church of the Holy Sepulchre. Jewish Christians had been banned from Jerusalem in 135 AD by Hadrian, the emperor of the time, but non-Jewish Christians remained providing an unbroken line to the time of Christ. The Christians of Jerusalem chose the spot for the Church with no argument, but rather absolute consensus and they rejoiced over the fact that they could finally have a Church where Jesus died, where he was buried and was resurrected. Christians through the ages continued to revere the site. The city fell to the Muslims in 1076. The Church was damaged but the site was preserved miraculously until the Crusaders arrived in 1099 and rebuilt it. Since then the Catholic, Greek Orthodox, and Armenian churches have shared the care for it. Even after Jerusalem fell again in 1187, part of the peace treaty with the Muslims was that the site be preserved for Christian pilgrims, which it was. Later, Coptic Christians joined in the care for the Church. Never was there any doubt in Christendom. In 1517, the Reformation split up the Church, but the site of our Lord's death and resurrection remained. It wasn't until 1870, which was 250 after the Reformation, that a Protestant suggested another site for Christ's death. Scottish doctor R.F. Hutchison insisted that Christ could not have died where the Church of the Holy Sepulchre now stood; because it was within the walls of the city and thus ran counter to a New Testament passage indicating that the crucifixion took place outside the city. He proposed a site, which was on the slope of the Mount of Olives. It began to get traction in Protestantism, but was rejected in 1884, by another Protestant, English war hero General Charles G. Gordon, came back from Israel. Gordon proposed a skull-like outcrop and a nearby tomb now known as the Garden Tomb just outside the Damascus Gate. There was quick acceptance of this Protestant alternative to the Church of the Holy Sepulchre. Now Protestants had their own place where Jesus died. What's the problem with these new proposals for the location of Christ's death? In recent decades, excavations have revealed to Jewish scholars, historians, and archaeologists who have absolutely no investment in the site of the Church of the Holy Sepulchre that the walls in Jerusalem were in an entirely different spot during Jesus' time. The current wall that surrounds the Old City was built in the 16th century by the Turkish Sultan Suleiman the Magnificent. The traditional site of Christ's death was outside the city walls at the time of Christ. The spot marked by the Church of the Holy Sepulchre was outside the walls at the time of Christ. When we were in Jerusalem we saw a huge model of the city of antiquity and how it changed over the centuries (photo below). This Israeli model shows the first wall of Jerusalem, the 2nd rebuilt wall, and the current 1600th century wall which was built further out to make room for the growing city. 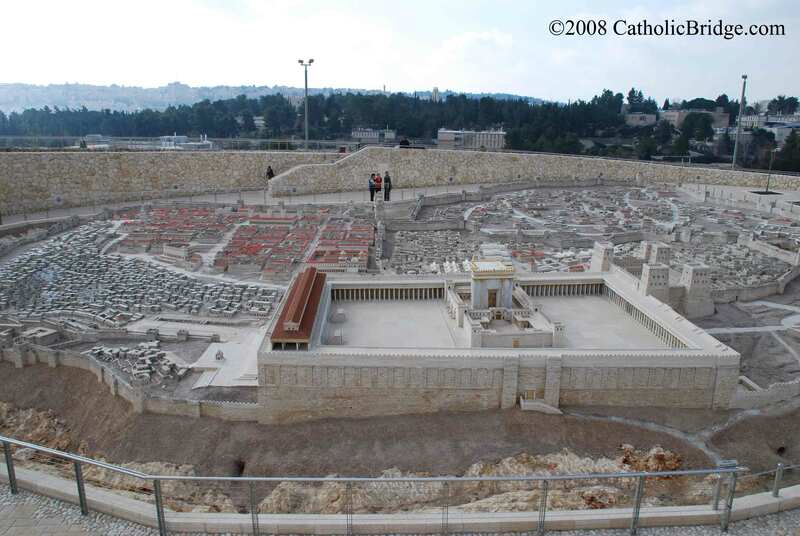 Photo we took of the model of old Jerusalem showing old and rebuilt walls. Gordon's main reason for denying the Church of the Holy Sepulchre as Golgotha melted away. The other problem with Gordon's idea that the "Garden Tomb" is where Jesus died, is that the tomb was carved out of the rock 700 years before the time of Jesus. The Bible says it was Joseph of Arimathea’s “own new tomb, which he had cut in the rock” (Mat 27:60) where "no one had ever yet been laid” (Lk 23:53). The reason many Protestants think Jesus died at the "Garden Tomb" is because 140 years ago, a nonacademic said the cliff looked like a skull, and because it was outside the new wall (built in the 16th century), which he thought was the old wall. Thankfully, Protestant scholars are slowly coming back to the traditional site for Golgotha. Here's some evidence for the site at the Church of the Holy Sepulchre. The eyewitness historian Eusebius claimed that in the course of the excavations, the original memorial was discovered. However, he also claimed that all three crosses (those of Jesus and the two thieves) were found at the site, which seems less likely. 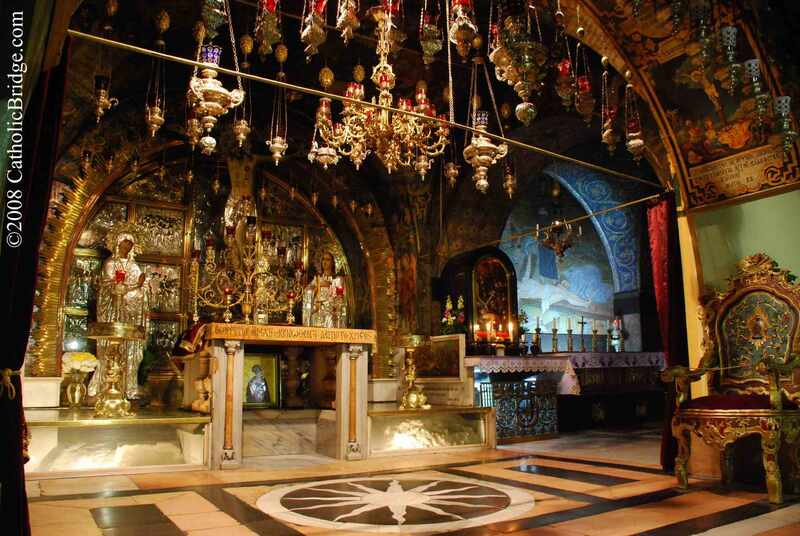 "Is this the place where Christ died and was buried? Very probably, Yes." "We may not be absolutely certain that the site of the Holy Sepulchre Church is the site of Jesus' burial, but we have no other site that can lay a claim nearly as weighty, and we really have no reason to reject the authenticity of the site."